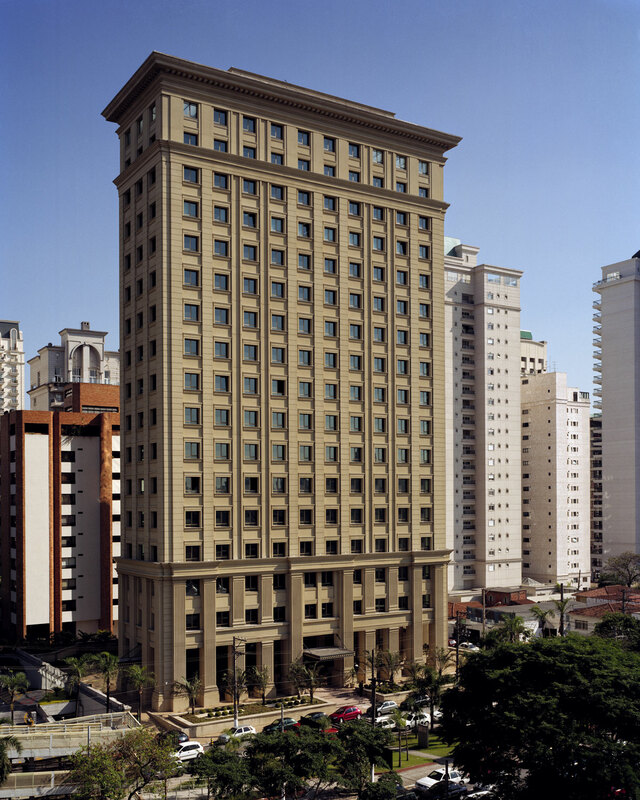 In 2003, Hines was awarded the property management assignment for Plaza JK, a new 15-story, 8,628-square-meter (92,873-square-foot) office building located on Juscelino Kubitschek Avenue in São Paulo's Faria Lima financial district. The Faria Lima submarket is dominated by the Brazilian headquarters offices of multinational and Brazilian financial services groups. In addition to ongoing operations activities, Hines' responsibilities included executing the building start-up and coordinating tenant move-ins. This assignment was awarded to Hines by the project's development group, a well-known consortium of Brazilian developers and investors.